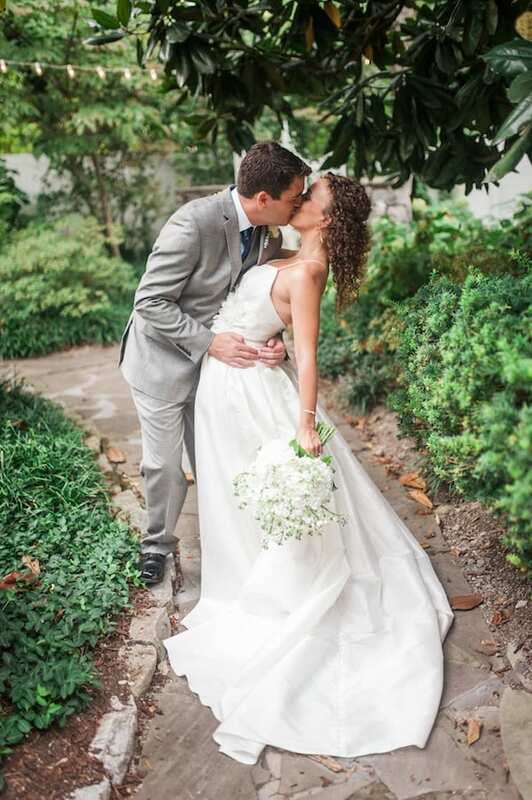 We loved the classic simplicity of this late summer garden wedding for Meredith + Kevin. Navy and white are a classic color palette, but the striped details – from the bouquet ribbons to the table runners – kept the style from feeling too formal. Other details we loved – those gorgeous bridal shoes, the brushed gold detailing on the cake, and the ecstatic smile on Meredith’s face as she walked down the aisle to her groom. These two were so happy to tie the knot; photographer Alex Thornton did a wonderful job capturing their joy. Best wishes, Meredith and Kevin!